The Alaska Federation of Natives convention starting Thursday will bring together more than 6,000 people from across the state, for a gathering that's expected to boost the Anchorage economy with more than $6 million. The event has been held 52 straight years, long enough that some forget a fight for traditional lands started it all. Many view the meeting as a cultural spectacle for Native art and dancing, and a reunion for friends and family. It surely is all that. But "there's always politics," said Willie Hensley, who helped form the organization and has attended every meeting since the first in 1966. At the time, leaders like Emil Notti, who became the first AFN president, were concerned about threats to long-occupied Native lands as the young state of Alaska selected acreage from federal inventories. Homesteaders and hunters were laying claims to cultural sites. Notti wrote the letter that called Alaska Natives to Anchorage to discuss the problem. "Mostly in the Tundra Times (newspaper)," said Notti, now 85. "There were no Bush phones." "All we had was mail," said Hensley. More than 400 Alaska Natives showed up over three days, representing 17 organizations, AFN says. Their demands led to a 1971 congressional law, the Alaska Native Claims Settlement Act, providing 44 million acres and nearly $1 billion to a unique system of Native-owned corporations. A lot has changed since then. A lot hasn't. But its convention remains a political catalyst, where culturally diverse groups find unity, then promote social change. The bonds built there are critical, says Julie Kitka, the nonprofit's president. "I love seeing people I haven't seen since last year," she said. "That is bar none my favorite part." Billed by AFN as the nation's "largest representative yearly gathering" of indigenous people, the event still runs for three days. More than 4,000 AFN delegates arrive from gobs of villages. The event is webcast to 70 nations. The gathering features a massive Native arts bazaar with more than 150 artists, a health fair, awards ceremonies, a legal clinic, plus two nights of the popular Quyana, showcasing traditional village dance groups in crowd-filled halls. The convention has grown so much it anchors other events. 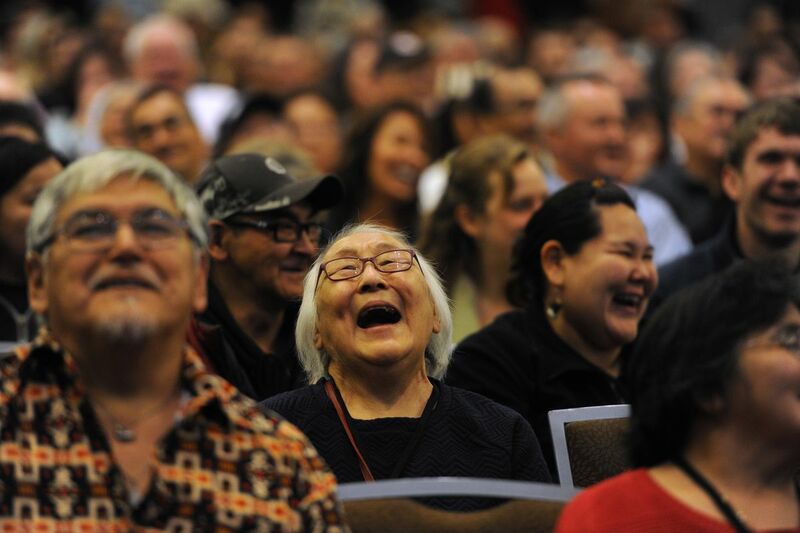 On Monday, First Alaskans Institute starts the week with the three-day Elders and Youth Conference, where leaders are born and traditions instilled. More than 1,000 participants will attend that event, also at Dena'ina. And AFN and the National Congress of American Indians will host a tribal conference all day Wednesday, at the Egan Center. It all makes for a busy week, capped by the convention, where election-year politics will add to the drama. A governor candidate forum Friday afternoon starts at 2 p.m. Incumbent Bill Walker will face challengers, former state Sen. Mike Dunleavy and former U.S. Sen. Mark Begich. For Alaska's seat in the U.S. House, Rep. Don Young will meet challenger Alyse Galvin. • Alaska's Sen. Lisa Murkowski (9:05 a.m.). Kitka said AFN, working with the broader Native community, has achieved many successes over the decades. Alaska Native organizations now run hospitals and clinics statewide, increasing access to health care. Modern improvements have come to villages, including Internet, power plants, water and sewer systems. 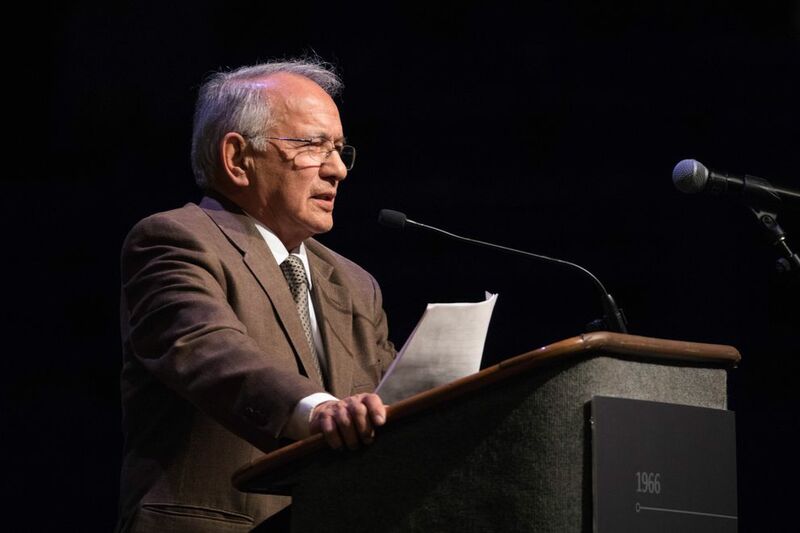 Over the decades, AFN has worked with Congress to address social and economic disparities, and helped protect the rights of Native subsistence hunters and fishermen, Kitka said. The best accomplishment has been the education and development of young Natives ready to run the corporate, social and health sectors their elders built, Kitka said. "That's important because we're dealing with a lot of change that will hit us on many fronts in Alaska," she said. The convention theme this year, "Innovation in the Past, Present and Future," speaks to the continuing need to tackle technological, economic and social disruptions while staying grounded in family and tradition, she said. AFN plans to focus future energy on finding ways to combat rising health care costs and improving educational opportunities, she said. Another key area will be addressing changing climate, working with state and federal agencies and others to find ways to improve erosion-threatened roads, runways and buildings in numerous villages. One idea involves creating an Arctic Development Bank, like the poverty-fighting World Bank that provides affordable loans and other funds for projects. "This last Congress, you saw major efforts for tax reform, but never saw a big infrastructure bill," Kitka said. "We'll see how we can get attention on infrastructure needs up here." Building ties with the U.S. military will also be part of the group's agenda. AFN's policy plans for 2019 will be shaped by dozens of resolutions from delegates, after a vote on Saturday, the conference's final day. Both Notti and Hensley said they're amazed AFN has grown so large over the years. But there's more to accomplish. Both cited the need for increased jobs and job training in rural communities to combat poverty and other social woes. Money is required these days, and climate change is altering animal populations, raising questions about access to wild food in the future. "If you can't make a living on subsistence, you have to have a substitute," Notti said. For those who can't make this year's convention, the event will be webcast live, said Jeff Silverman, a communications officer with AFN. You can find the event at the nativefederation.org website. It will also be available on 360 North, Alaska Rural Communications Service or ARCS, and GCI channels in some communities. "It's in every village and every city," Silverman said.